Kate Morton has crafted yet another captivating and moving family-centred saga with The Lake House. Rich with detail, this novel is a treat for readers who love to dive deep into a family’s world and become privy to their innermost thoughts, desires and secrets. At moments utterly heartbreaking, sometimes devastating, and also joyful, The Lake House is an engrossing read that envelopes from beginning to its surprising ending. Traveling through places and time periods, The Lake House tells the tangled and often devastating story of the Edevane family and the decades old unsolved mystery surrounding the disappearance of baby Theo Edevane. Running parallel to the exploration into the months leading up to Theo’s disappearance and its repercussions, readers are taken into the contemporary world of young detective Sadie Sparrow. On leave from work and visiting her beloved grandfather in Cornwall, Sadie unexpectedly comes across the Edevane’s long abandoned, long deserted family home. With her profession in investigation, Sadie cannot help but be gripped by the unsolved status of Theo’s disappearance. In fluid chapters alternating between past and present, Morton meticulously unfolds the lives of Alice and Eleanor- sister and mother to Theo, respectively- while slowly uncovering and shedding light on Sadie’s fixation with mothers, missing children, and unsolved cases. While the level of precision given to the Edevane family history and in Sadie’s thorough research into the family’s history did wear a tad over the course of five hundred pages, the story- as a whole- is just so impressively and carefully crafted and presented. The build to the reveals are slow, and there are herrings abound, but I feel that it all pays off in spades in the end. I do not often find myself entirely surprised by a story’s turns, but in The Lake House I was. Even in this story so filled with sadness, sacrifice, years of misunderstandings and could-have-been’s, Morton somehow manages to craft a satisfying ending that points to joy, hope and resolution without dismissing the permanence of tragedy and loss. 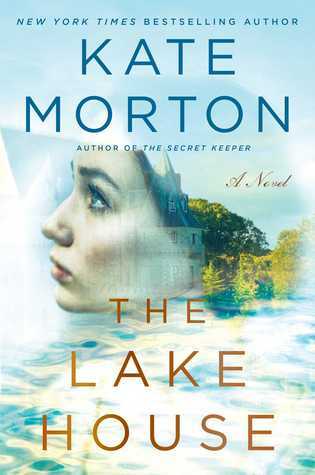 Overall, I would definitely recommend The Lake House to readers who have enjoyed Morton’s previous novels, and for those eager to read another beautifully-written family mystery. Readers who love the work of authors such as Diane Setterfield, Susanna Kearsley, Geraldine Brooks, Dodie Smith, Lauren Willig or other writers of sweeping British tales, might also adore The Lake House. Morton does, arguably, now have her niche in the past-present British family mystery, but she does it so well it’s hard to protest! Perhaps in future releases, Morton will take on another approach or tackle another time period or genre; in the meantime, however, I am more than happy to relish these novels! I received a copy of this book courtesy of Simon & Schuster Canada in exchange for an honest review. All opinions and comments are my own. ‘The Greatest Zombie Movie Ever’ Sneak Peak & Giveaway!